Bulgarian Special Forces Host the В-9 CJSE "Thracian Sword 18"
NOVO SELO, Bulgaria, (BulgarianMilitary.com) – Yesterday, the Bulgarian Ministry of Defence announced that the Special Forces of the nine member states, participating in the Bucharest 9 Initiative (B9), have started the multinational military drill “Thracian Sword – 2018” at the Novo Selo Training Area. 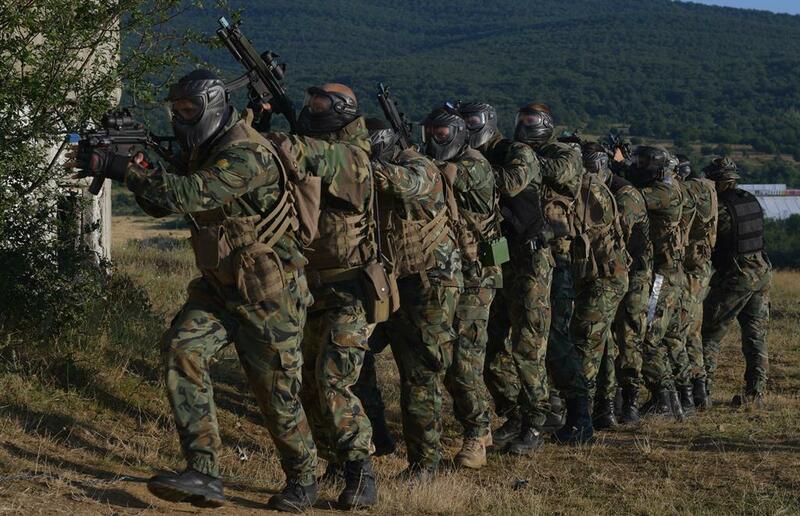 This year, Bulgarian Special Forces are set to host the annual B9 members exercise in the period from 22 October to 26 October, learned BulgarianMilitary.com. В-9 CJSE “Thracian Sword 18” is held with the participation of up to 200 servicemen of the Special Operations Forces from the Southeast Europe B9 members, which include the Republic of Bulgaria, Turkey, Greece, Serbia, Romania, Montenegro, the Republic of Bosnia and Herzegovina, Macedonia, the Republic of Albania. This year’s multinational joint training is conducted and with the support of the U.S. Armed Forces aviation. The Bulgarian Special Forces are also responsible for the organization of the “Thracian Sword 18” itself. An officer, determined for the planning the drill is the Commander of Bulgaria’s 68th Special Forces Brigade, Brigadier General Yavor Mateev, and as an officer in charge of the exercise organization is set to be the Deputy Commander of the Special Forces Colonel Ivan Raykov. In “Thracian Sword 18” Bulgaria is represented by servicemen, assigned to the 1st Special Forces Battalion of the 68th Special Forces Brigade and to the platoon for preparing paratroopers of the Special Forces Training Center. For the first time, the conducting of the current “Thracian Sword 18” drill was announced in April, this year after an initial planning conference was held in the headquarters of the 68th Special Forces Brigade. In it, representatives of the Special Operations forces of the all B9 countries participated. Since then, they held two more conferences – the main planning and the final coordinating conferences, with the last held in the beginning of September.